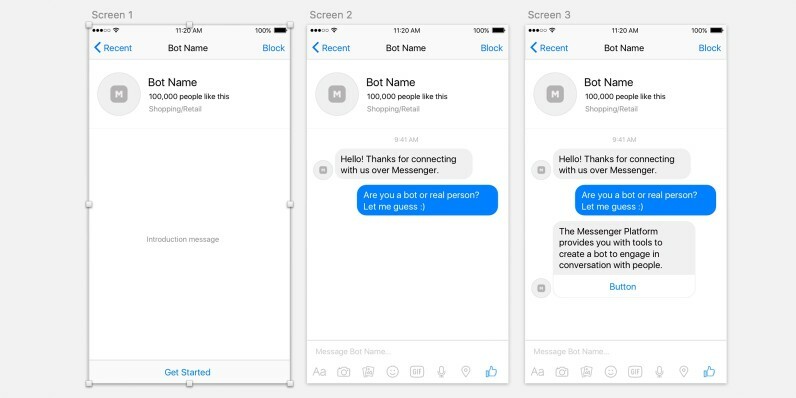 If you’re getting serious about creating bots for Messenger, there’s now a Sketch file for prototyping them before you start coding. The aptly named Bots UI Kit is a bunch of pre-fab artboards with elements you can pull for us in your own designs. You can choose from bot or human chat bubbles, bot profile headers as well as a series of actionable boxes for purchases or call-to-action buttons. Messenger bots are Facebook’s favorite new toy it’s letting us all play with, but they’re not very good — at least not yet. Bots are meant to act as lighter, more conversational versions of apps, except the execution jut isn’t there at this point. Perhaps with a design layer in the bot creation process, we’ll all be a bit more thoughtful about how bots interact with humans. At least, that’s my hope.